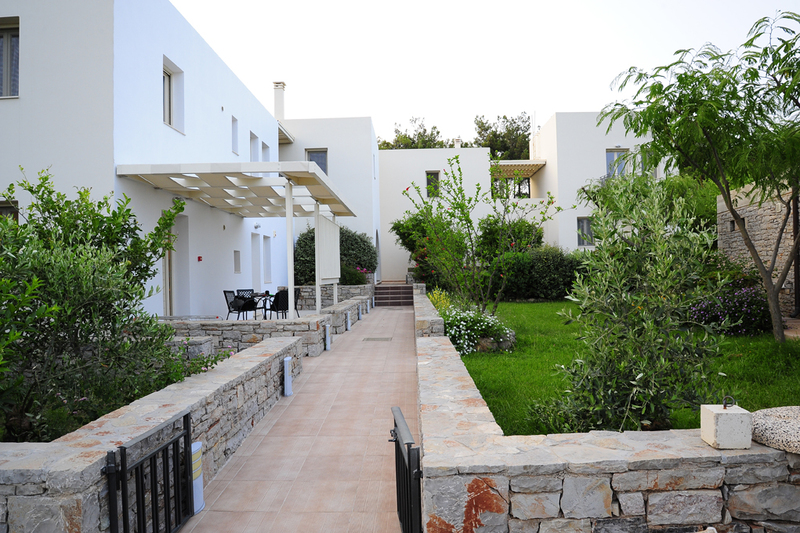 Just 7 km from Chora, at the picturesque rural village of Kalamos, Petrokalli appartments offer comfortable and fully equipped rooms and appartments tailored to the needs of families, as well as many outdoor and rural activities. 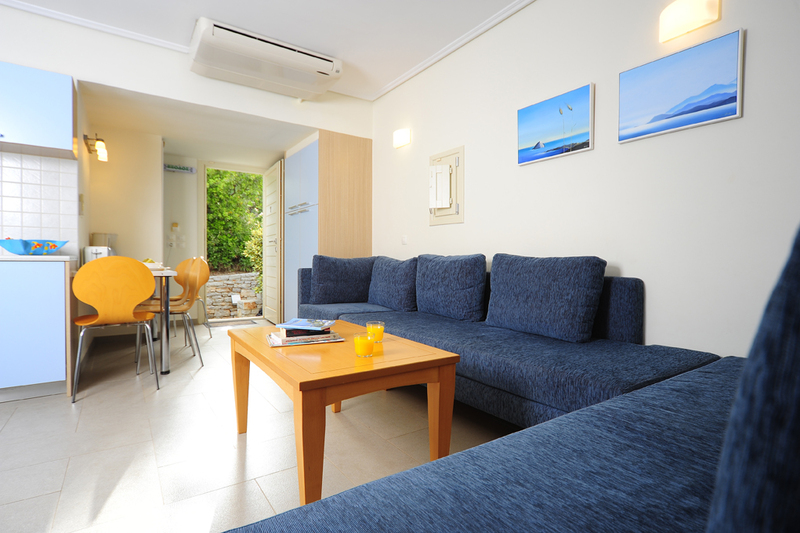 Warm welcome and great hospitality from the friendly owners awaits you. 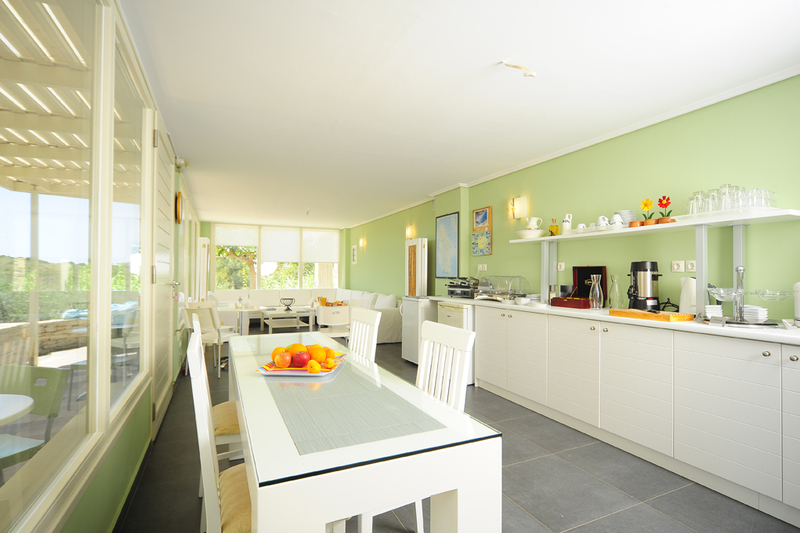 The complex is ideal for couples or families who want to relax, experience something different, come closer to nature and get to know the animals on the farm. 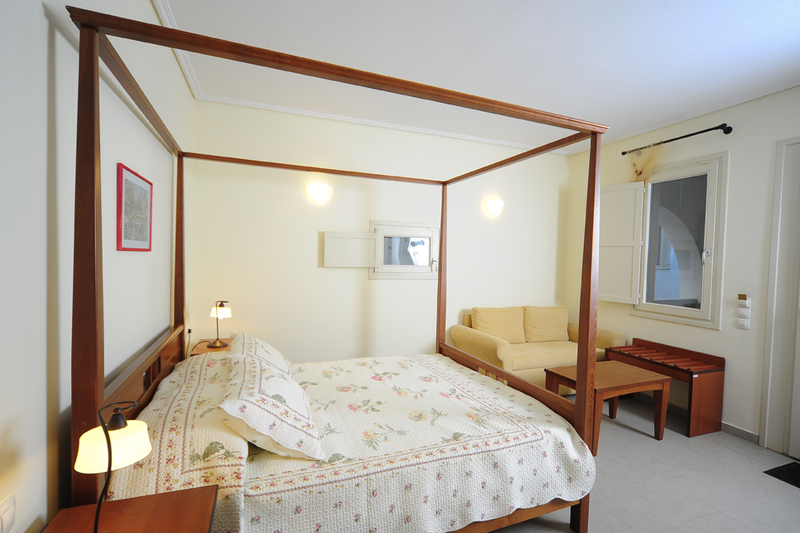 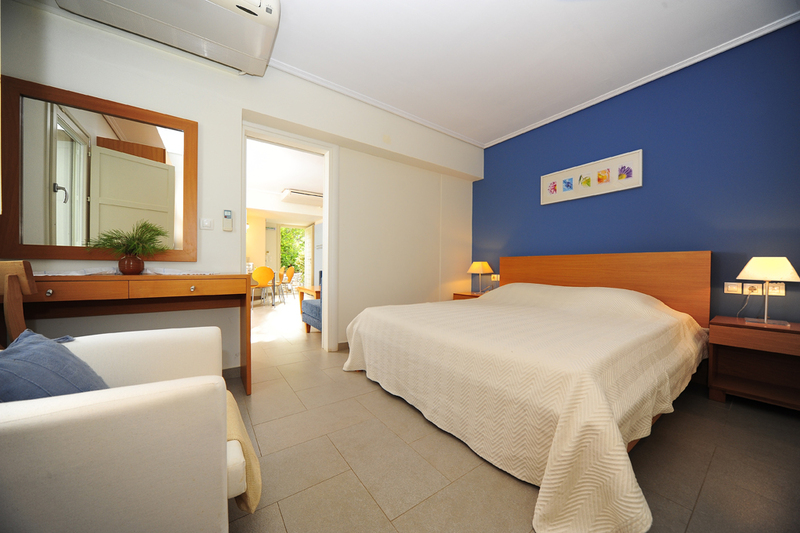 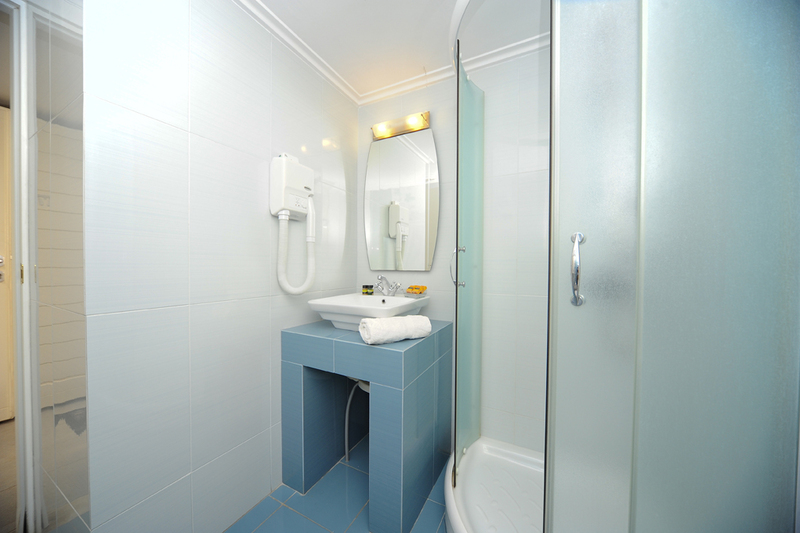 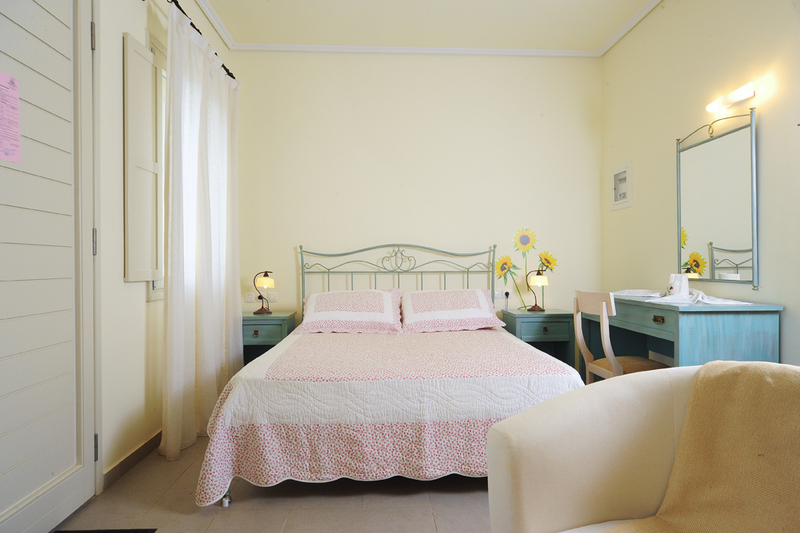 All the rooms and the houses are furnished and tastefully decorated. 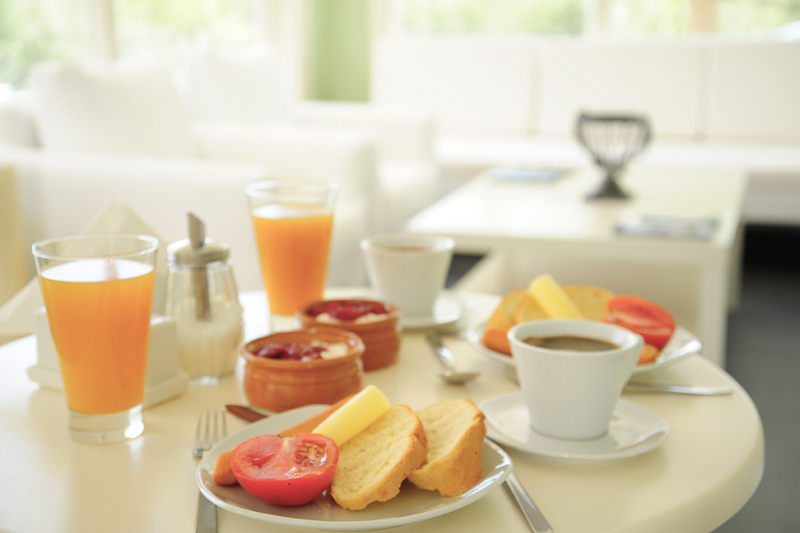 Every morning, a traditional Greek breakfast is served and includes fresh farm products and delicious home-made sweet and savory creations. 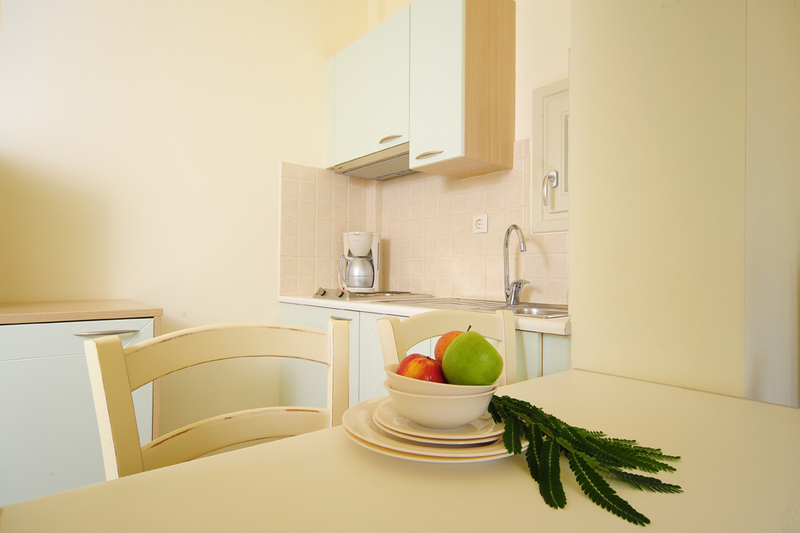 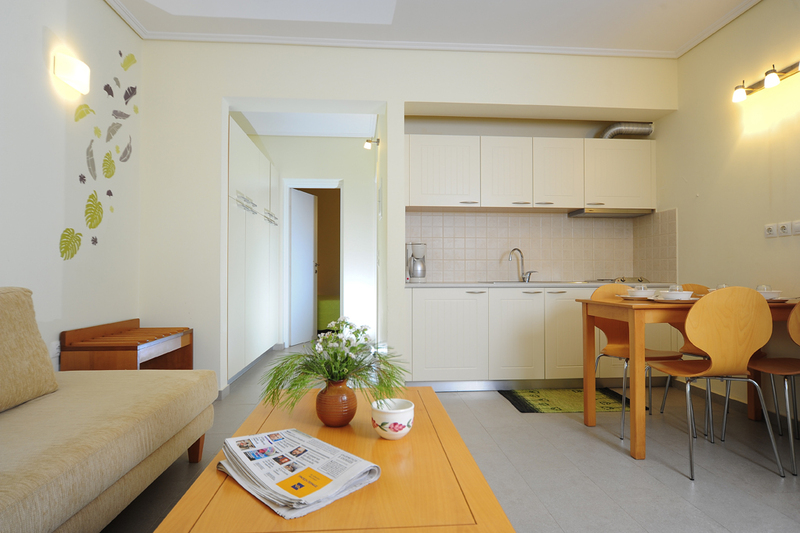 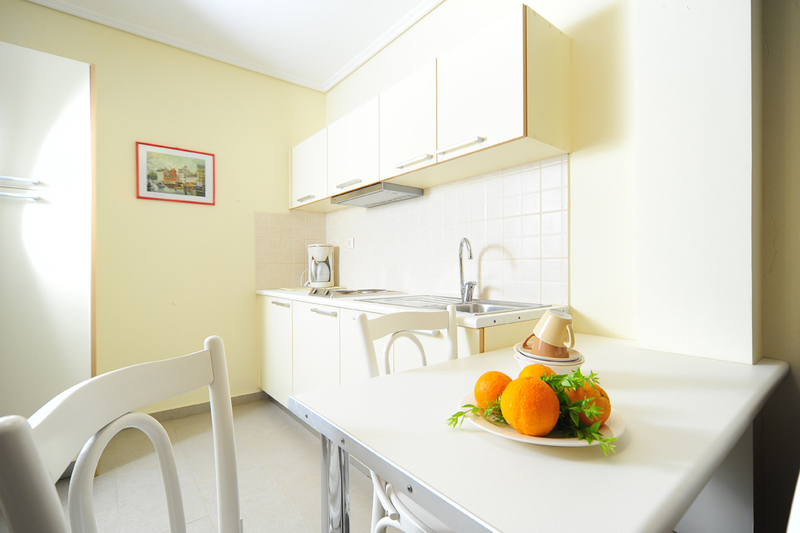 Eight furnished apartments, pleasant and comfortable. 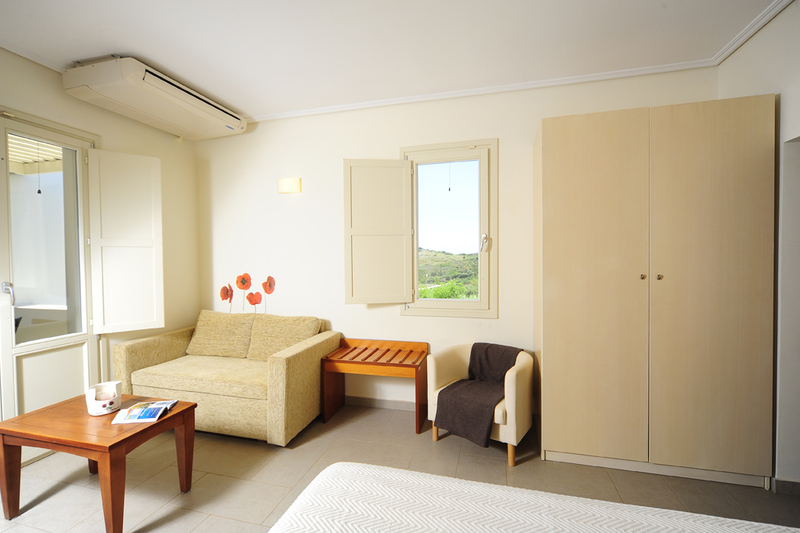 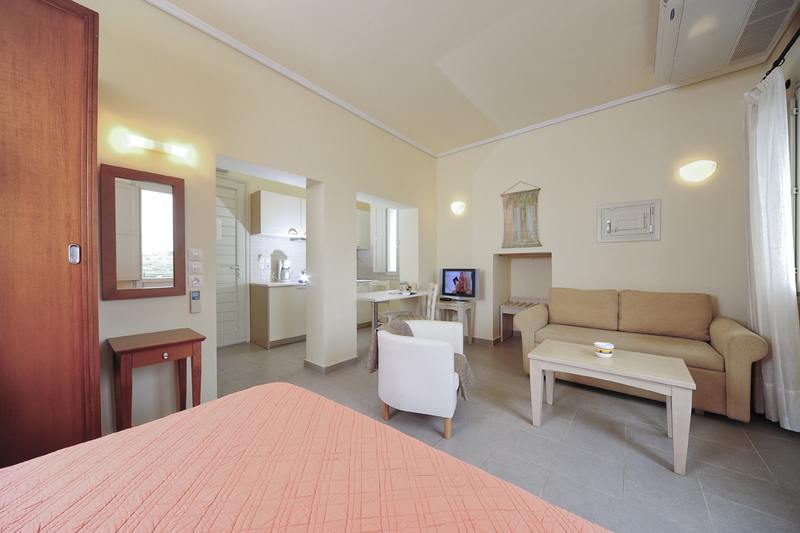 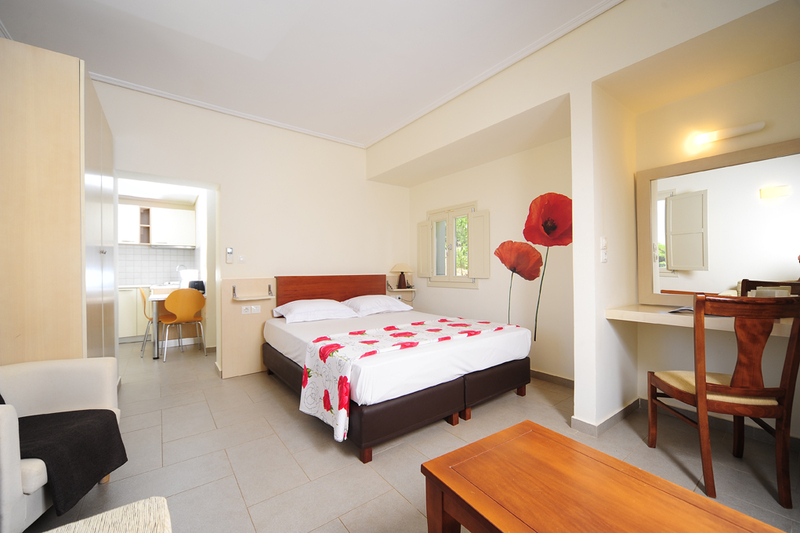 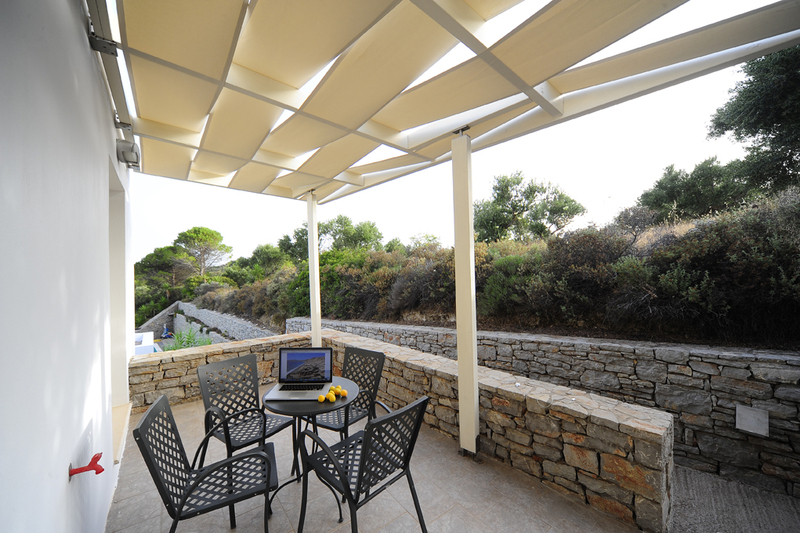 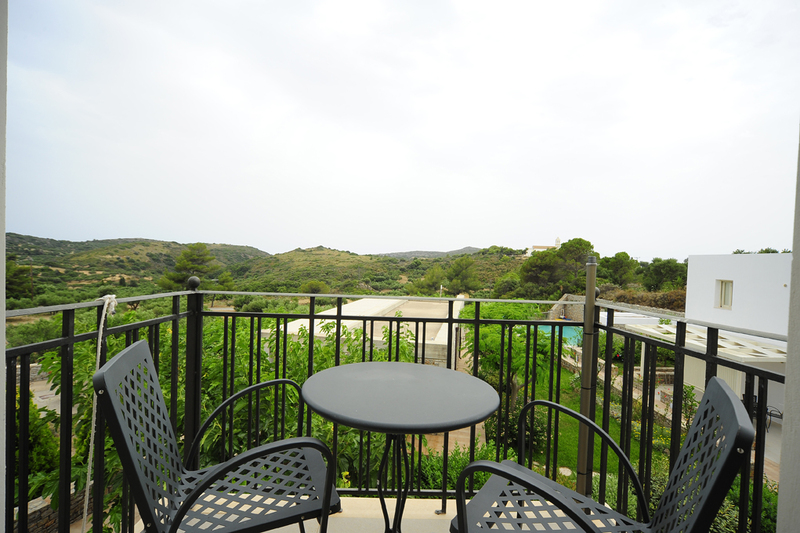 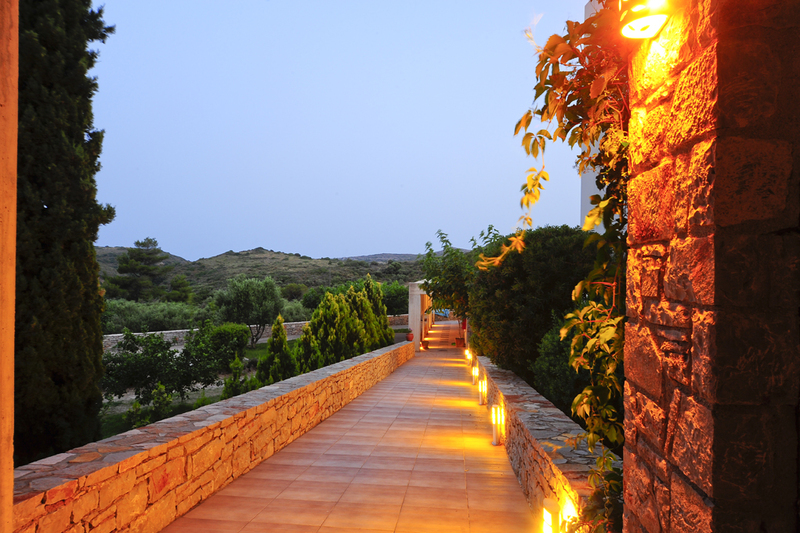 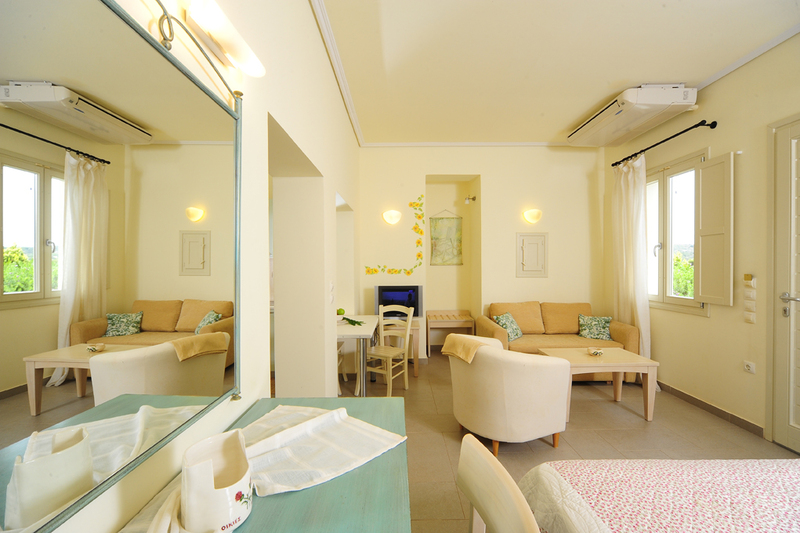 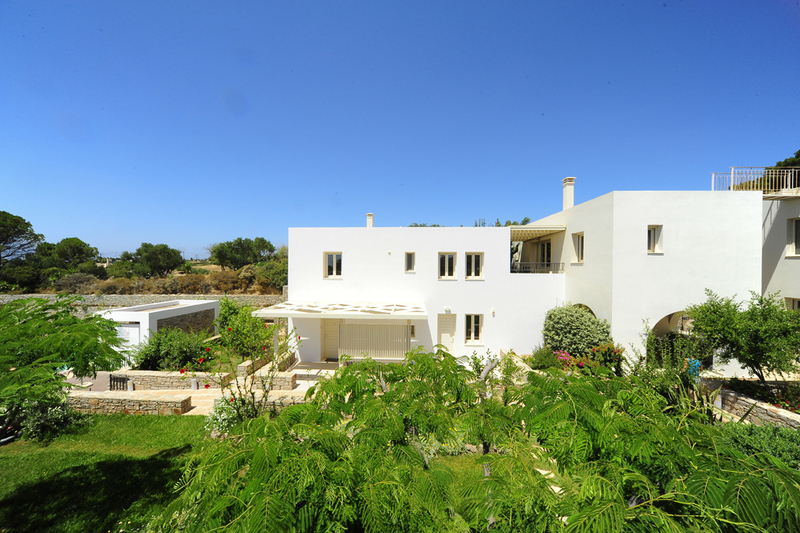 All are bright, equipped with all modern comforts and offer panoramic views of old stone houses and silver olive trees. 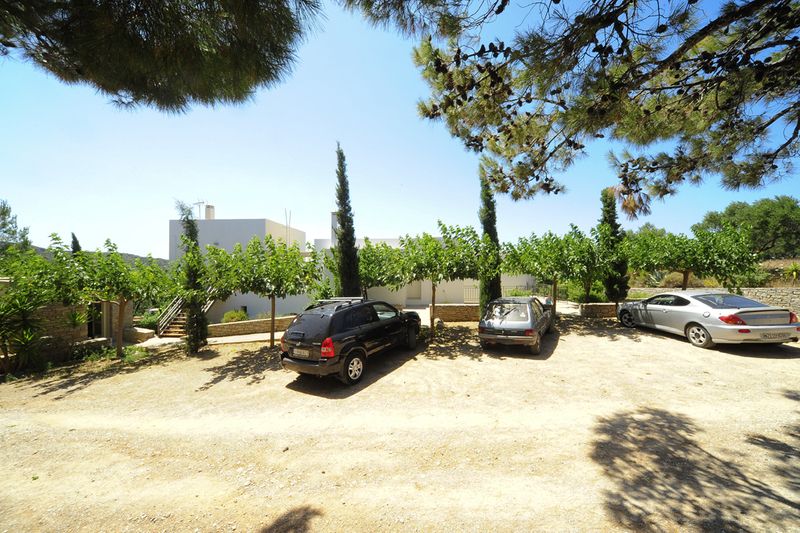 A short distance from the beautiful, clean beaches and the town is ideally located for those wishing a quiet stay with quick access to the sea and sightseeing. 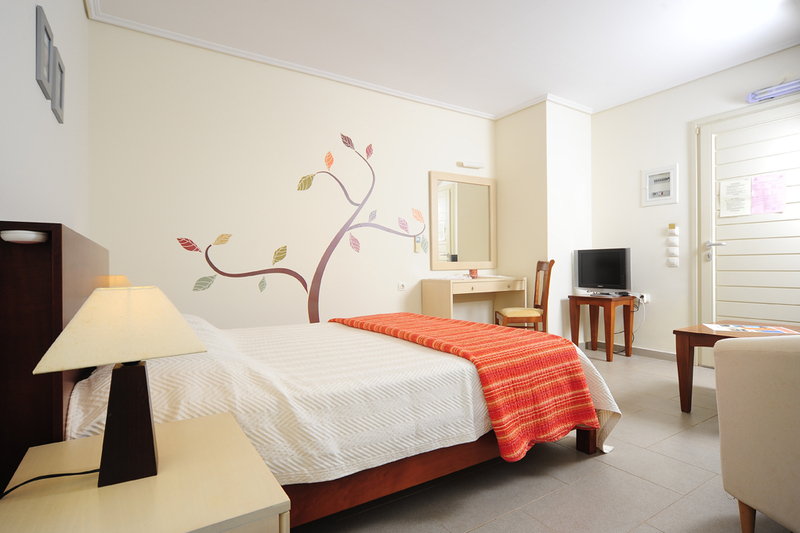 The friendly and family atmosphere will make you feel "at home", while the services we offer will make your stay pleasant and memorable. 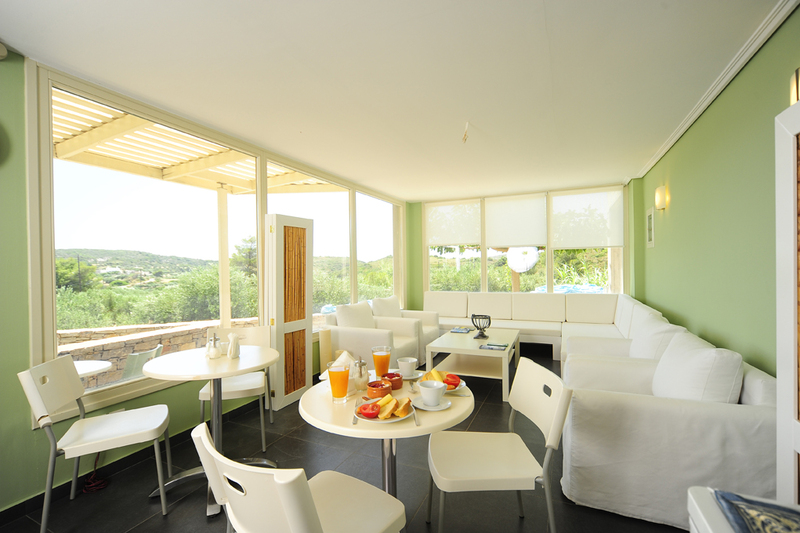 Communal areas include a breakfast room, with an outside shady courtyard and a pool. 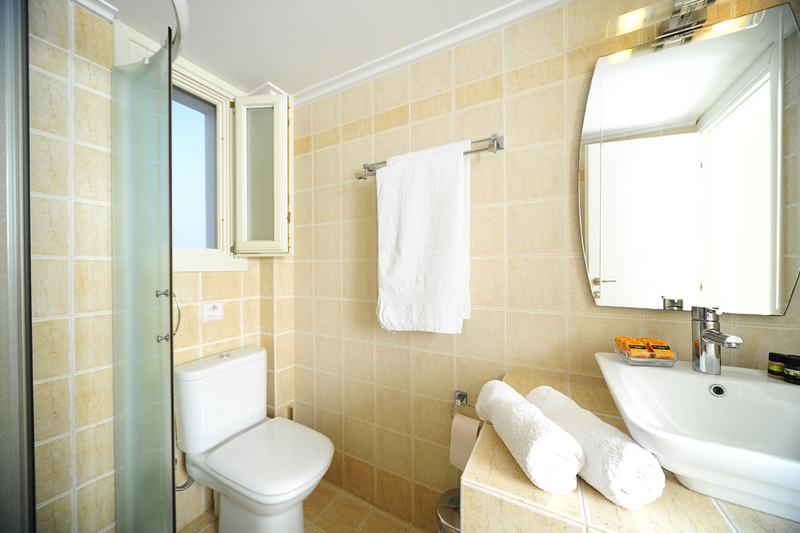 Do you have difficulty arranging your travelling? 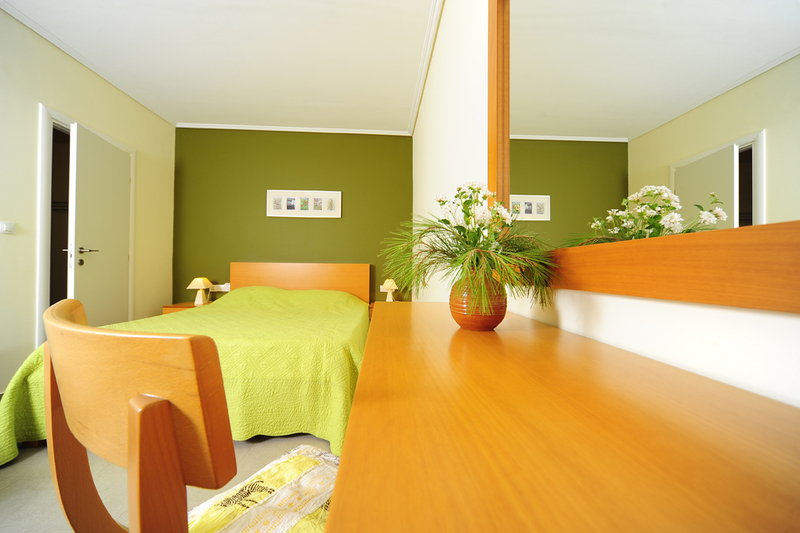 Give us a call and we will arrange everything for you! 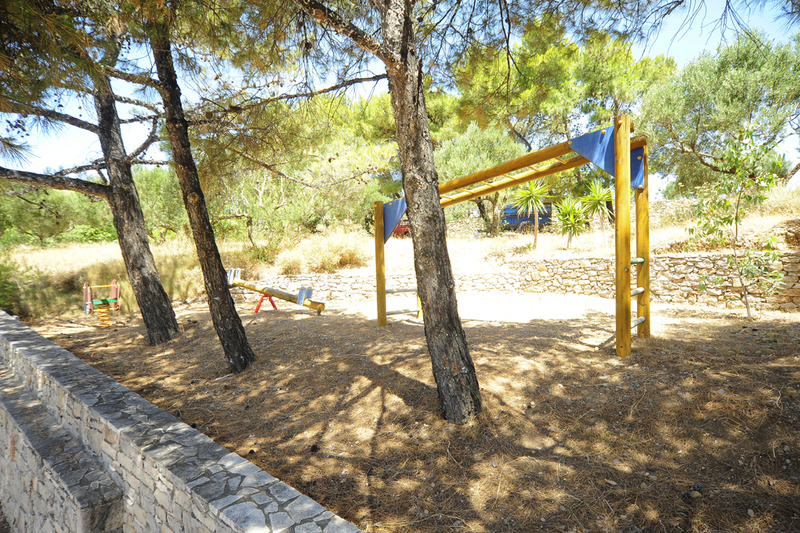 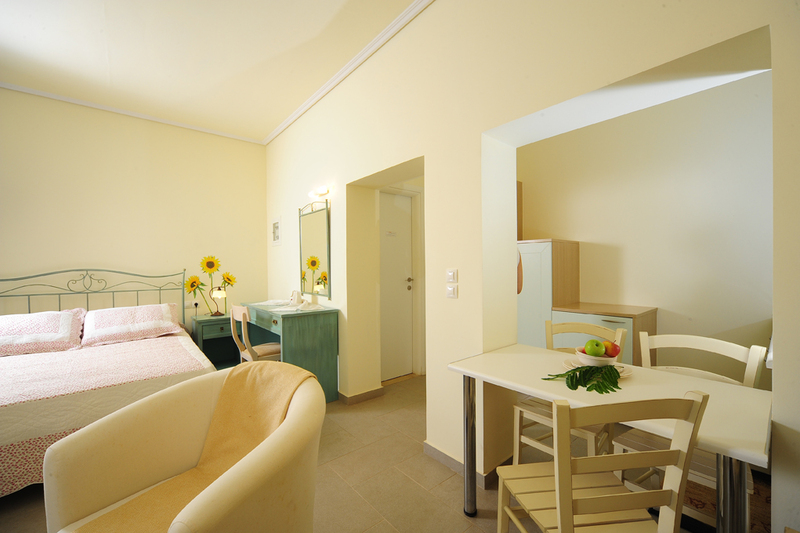 Petrokalli apartments offer comfortable and fully equipped rooms and apartments tailored to the needs of families, as well as many outdoor and rural activities.